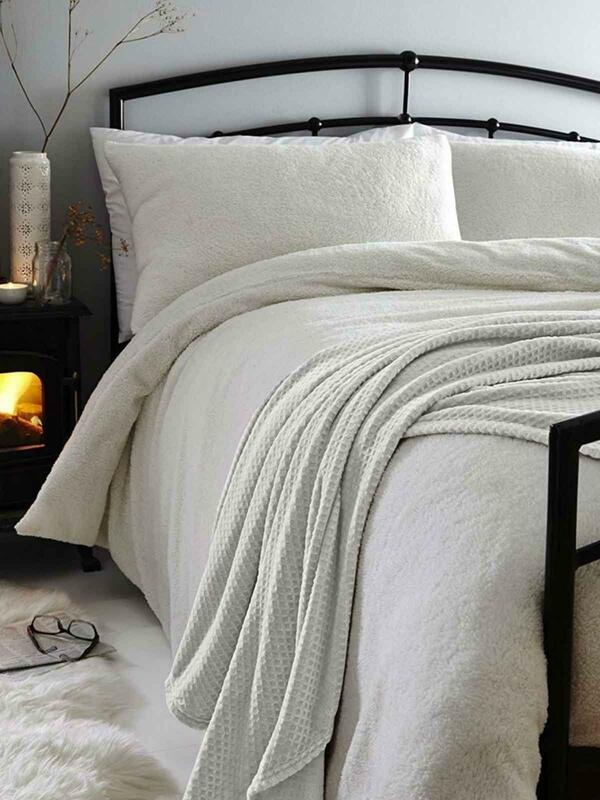 The Silentnight Teddy Fleece duvet set is perfect for those colder winter months. Presented in a cream colourway the Silentnight duvet set is super snug crafted from a teddy fleece soft textured fabric making it warm and inviting for those cosy nights in. 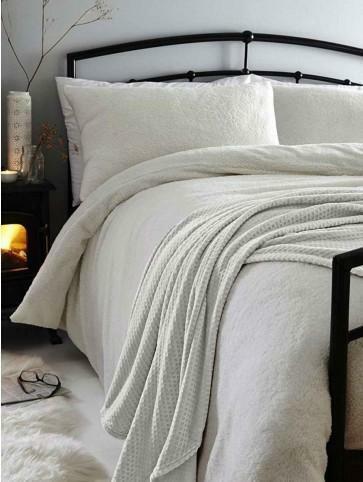 The Silentnight Teddy Fleece duvet set is available in Single, Double, King & Super King ideal for all bedrooms. The set is also available in Blush and Silver colourways. Single sets comprise of one Duvet Cover and one Pillow Case. Double, King and Super King sets comprise of one Duvet Cover and Two Pillow Cases.